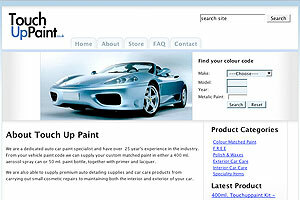 TouchUp Paints required an online store that could sell a wide range of paint products matched to a car's model. A search facility was required to pin-point a car colour using a database of car manufacturers. TouchUp Paint are dedicated auto car paint specialists. With over 25 years in the industry they supply a wide range of paint products matched to your car model. The online shop required paint products to be matched the car model's unique colour code. In order for a customers to find their product code a search facility was built using a database of manufacturers showing diagrams of how to find the colour code. 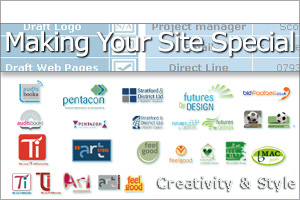 Our web and graphic designers are keen to work with other companies around Hertfordshire and London. Please contact us here.